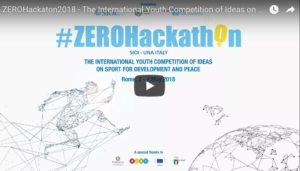 The Italian Society for International Organization (SIOI – UNA Italy) together with the Students’ Movement for International Organization (MSOI/UNYA-Italy), in partnership with the United States Embassy in Italy, will launch the second edition of #ZEROHackathon. 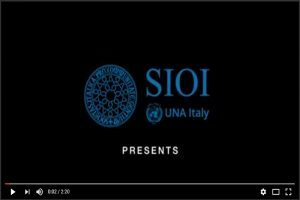 This year’s completely renewed version of the SIOI’s youth competition of ideas will focus on the role of sports as an enabler for Development and Peace in its social, educational and economic dimensions. Sports have the power to provide a universal framework for learning values and developing soft skills needed for responsible citizenship. 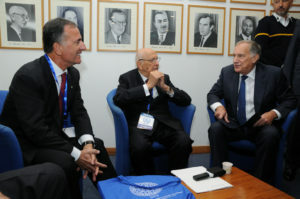 They are unique tools for promoting international cooperation, social progress and peace. 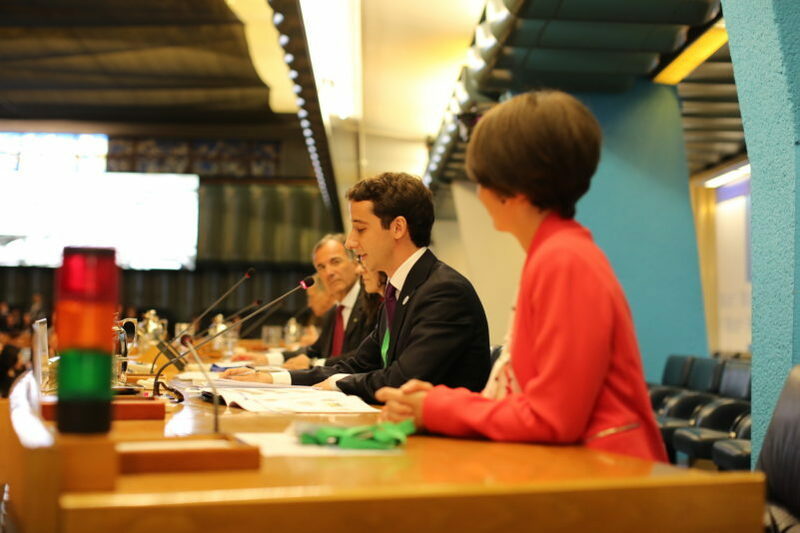 The United Nations considers sports important and powerful tools with the potential to tackle the challenges entailed in each of the 17 SDGs. Moreover, the European Union recognizes that sports can contribute to the achievement of the objectives of the “Europe 2020” strategy for smart, sustainable and inclusive growth, as well as its role in society, its economic dimension to good governance and diplomacy. 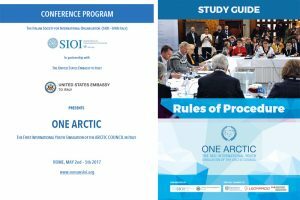 Accordingly, SIOI will challenge 200 highly motivated young students from high schools and universities all around the world. 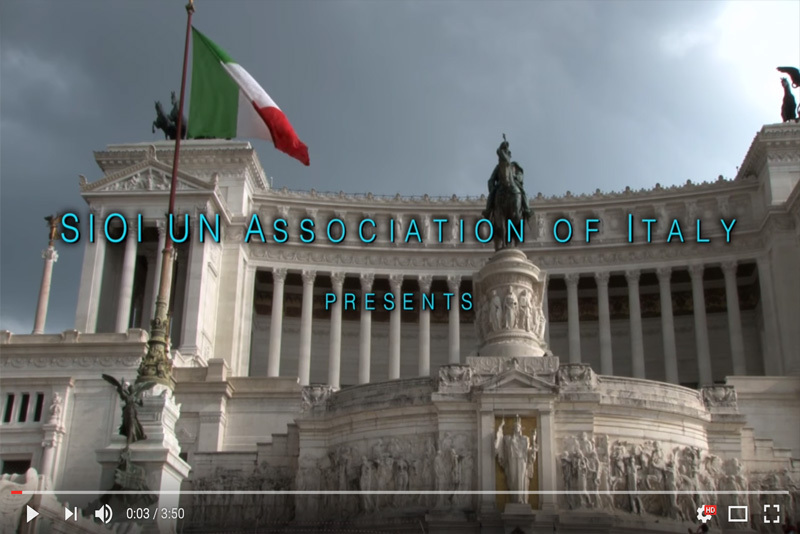 They will gather in Rome from May 2nd to May 4th 2018, to take part in the second edition of the international youth competition where creativity, civic engagement and teamwork are key elements to success. Participants are invited to develop innovative, high-impact ideas and projects in which sports are used as tools to promote international cooperation, social integration, economic progress and sustainable development. Those involved will work in teams and submit their final proposal via a video and/or a ppt presentation at the pitch session that will take place during the closing Ceremony. 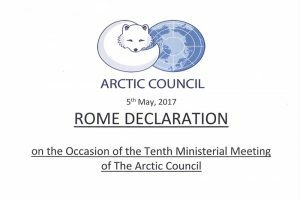 Proposals will be assessed by a multidisciplinary jury and judged based on their practicality, social impact and innovation. Prestigious institutional representatives, professionals and teachers will also participate in the event and make their knowledge and methods available in order to support teams in the development of their solutions. The best proposals will be awarded! 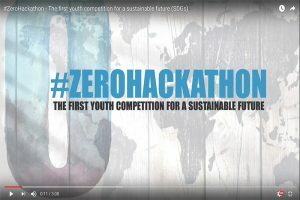 #ZEROHackathon will serve as a central venue in creating a connection between learning and doing, enabling young people to collaborate creatively, promoting the the importance of cooperation and teamwork in order to tackle the most pressing global challenges. ZERO is where we start from in building up this event. #ZEROHackathon is an innovative competition that starts with the proposals of the new generation and will bring ideas and creative solutions to challenging problems. 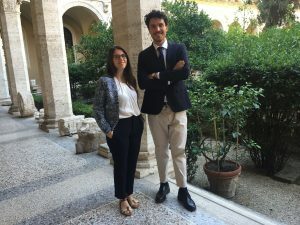 We have shaped this challenge as a unique marathon of ideas starting from ZERO: ZERO as in finding completely new solutions, ZERO as in developing critical thinking in a dynamic environment and ZERO as in shaping a new frontier of problem solving and developing proposals. 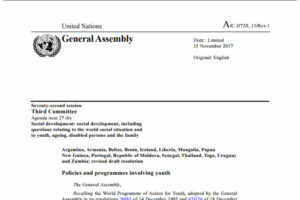 Finally, we start from ZERO in contributing to the involvement of young people in the implementation of the new Sustainable Development Agenda, as they will be the most influenced by its effects. The word "Hackathon" is a combination of the words "hack" and "marathon". “Hack" is used in the sense of exploratory programming, and “-athon” refers to an event that goes on for 24 hours. Thus, a hackathon brings together programmers and developers, designers and innovators, experts and problem solvers, as well as end-users to develop web and/or mobile app solutions in real-time, building innovative solutions to an identified challenge. Hackathons embrace Design Thinking, a human-centered approach to innovation that first defines the problem and then implements the solutions, always with the needs of the user at the core of concept development. 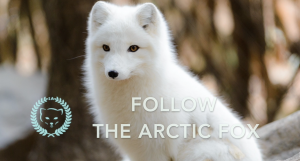 This process focuses on the need for researching, understanding, creating. At the core of this process is the hidden goal of embracing action and creation. By creating and testing something, you can continue to learn and improve upon your initial ideas. Moreover, there is an increasing number of civic Hackathons devoted to a specific cause or purpose, where “hacking” is a form of creative problem solving. Civic Hackathons encourage participants to think outside the box and design ground-breaking solutions that actively engage people in the development of answers relevant to their needs and experiences. 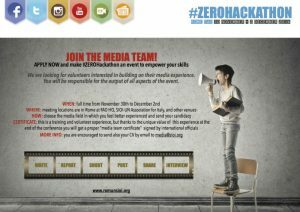 Participants are invited to present innovative high-impact projects, services and/or tools capable of meeting global requirements that are in line with the themes of #ZEROHackathon. 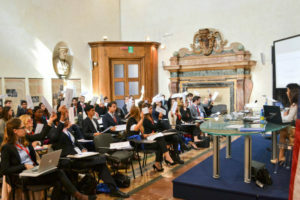 Each team will submit its proposal presenting a video and/or a ppt presentation during the pitch session that will take place during the Closing Ceremony. Proposals will be assessed by a multidisciplinary jury according to their social impact, innovation, originality and feasibility.